NB: Please note all shows will be performed at an established off-West End venue and industry professionals will be invited to all. Industry Ready in 2 Years? To date every student has had the opportunity to take part in a professional event. 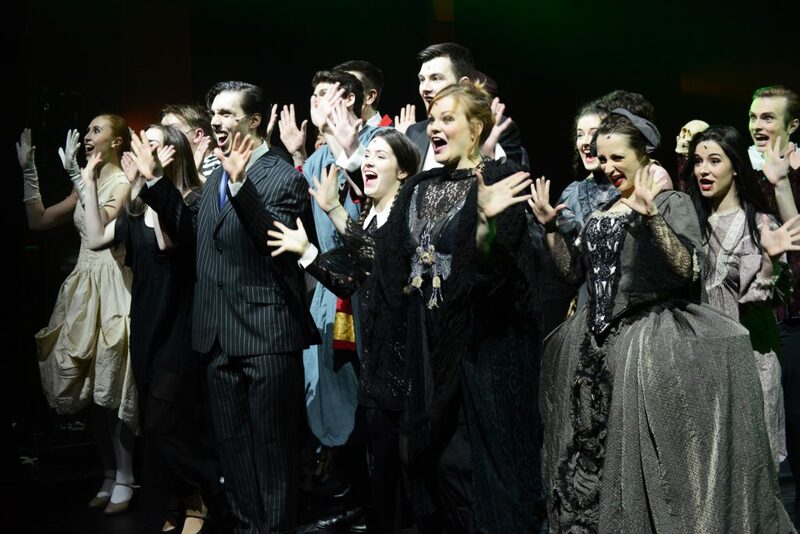 Some of the highlights have been performing at the London Palladium, being the Ensemble for the West End concert performances of Grease 2 and Tommy, performing in the West End galas for both MMD and Perfect Pitch. Singing at both of Julie Atherton’s album launches. Backing singers such as Shoshana Bean, Stephanie J Block, Patina Miller, Eden Espinosa (to name just a few) all in the West End. Appearing several times on Channel 4’s The Last Leg. Recording the concept album for the Craig Adams musical Lift. A minimum of 10 hours contact time a week is devoted to the singing component of the course. Every student has 30 mins/week of individual singing tuition during technical study weeks(except in Term 1 when you miss the first week due to induction). All students are encouraged and supported to find both a legit voice, and a traditional MT Belt Voice (where safe to do so). Finding your voice involves a process of negotiation – remember that what you hear reverberating inside your head actually sounds very different to those around you. Continuing on the holistic approach of The MTA, be prepared for the statement that singing is only 10% technique, the rest…is psychological. If this sentence alarms you just think for a moment how much your own lack of confidence affects the development of your singing voice? Singing in a modern musical is the vocal equivalent of running a marathon – it is essential that you get the technique right to remain vocally safe at all times. You need to understand your voice; it is after all the most basic and essential tool that any actor uses. To put it bluntly, you only have the one voice, once it’s gone – so has your career! The MTA understands that and takes its responsibilities seriously. Technique is important (and vital for vocal safety) but it is your performance technique that will actually secure you work. Acting through the song, finding out what works for you will be a vital tool in securing you that first job. being a successful Musical Theatre performer. In weekly ensemble classes you will explore the nuances of group singing, when to shine, when to hold back, when to let it rip! Working steadily through a traditional Musical Theatre repertoire your knowledge base will increase as your singing gets stronger. To understand any art form you must look at the history that surrounds it. 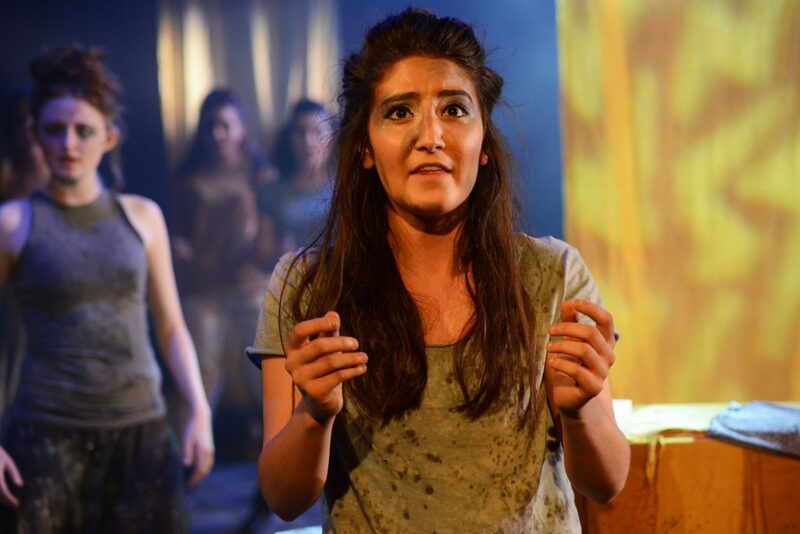 At The MTA the history of Musical Theatre is studied as an integral part of the course. The history of the genre is studied throughout the course (as opposed to a separate ‘lecture’ type scenario), meaning that you get to put your theory into practise as your knowledge increases. Unlike most MT courses we teach ‘pop/rock’ as a separate and dedicated class throughout the course, to ensure that you understand all the demands of a modern MT performer. With the links that The MTA has already forged with new Musical Theatre writers/producers you will top up the history with a healthy dose of the future. All students will be given a basic grounding in music notation. Our mission at The MTA is for every student to become a truthful, generous and compelling actor. Six hours a week are dedicated entirely to acting, encompassing a large variety of texts and styles. Our teaching staff are highly-experienced professional actors and directors from diverse professional backgrounds, from both the stage and the screen. The first public performance in your very first term is a full scale production of a straight play. The plays are specifically chosen to stretch and inspire the students, and the knowledge and skills they acquire on this first production, will then be built on throughout their time with us. Our acting course is split 50/50 between Stage and Screen acting. We are the first (& currently only) musical theatre college in the country to have this split. Our stagecraft will include Commedia Del Arte, Theatre of the Absurd, Improvisation, Contemporary American and British scene study, World drama, Physical Theatre, Stanislavsky, Audition Preparation, Classical and Contemporary Monologue study, Musical Scene study, and an entire term of Shakespeare. Each student will also write or direct their own piece for performance, to widen their skill set, fire their imaginations, and reveal hidden talents. Our screen-work will include work-shopping TV and film scripts, learning Film terminology, and the workings of a film set. The students will be filmed on a regular basis, and in their second year, each student will make a show-reel, shot and edited by professionals. They will also make a short film shot on location, directed by a professional film director. We cater for each individual’s needs, giving extra help when necessary, making sure no-one slips through the net. Monologues are individually chosen for each student, with every student having one-to one sessions. 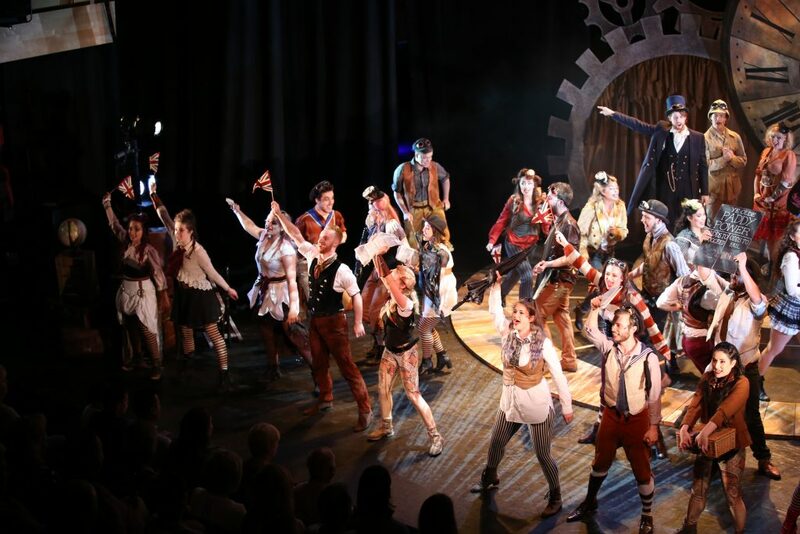 At the end of their 2 years, as well as a Musical Theatre Showcase, we also produce an Acting Showcase, where scenes will be specifically picked for each student to show them at their best. 2 contrasting showcases is yet another thing that is unique to The MTA. 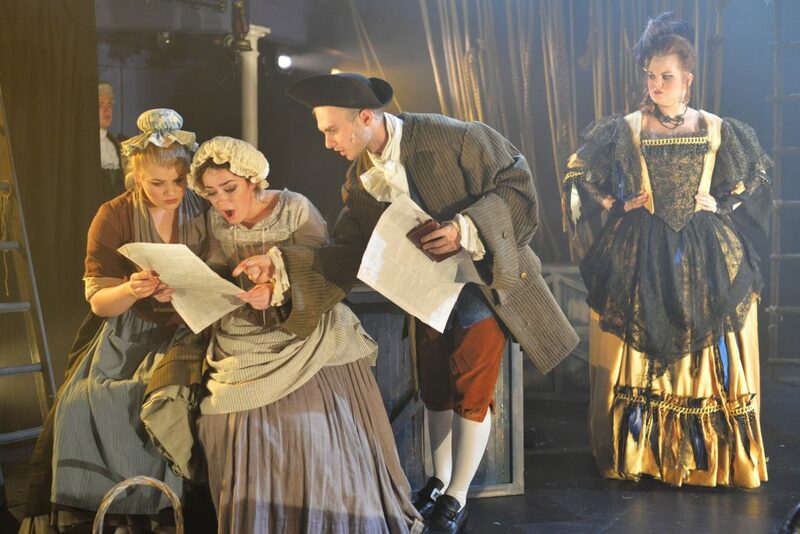 It is important to us to produce actors as confident, versatile, and skilled as those leaving a straight drama school. 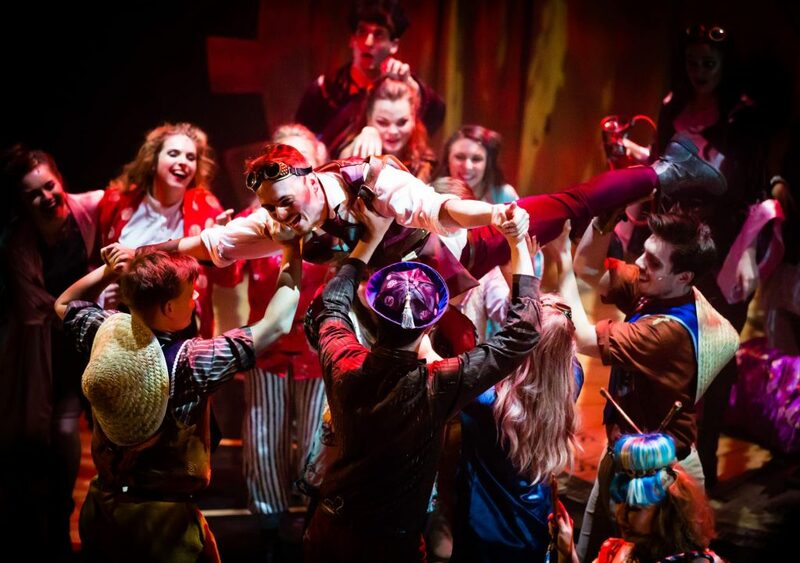 We expect our actors to be employed as straight actors, as well as musical theatre performers, which our ambassadors have proved time and time again, to be extremely achievable. The goal over our two years is to be equipped with an ‘active’ understanding of your spoken voice. You will develop your ability to observe the relationship between your body, voice, emotion and performance and undergo a curriculum of work that will reflect the range of vocal technique within the industry. 4 hours a week are dedicated to voice work. Year 1 – The focus of the first year is to focus on our self-awareness by unpicking what is known as a vocal progression. RABRAT: Release, Alignment, Breath, Resonance, Articulation, Text. Release/Alignment – We work on release as a means to strip away habits and tensions that may have a negative impact on the voice. We will draw on release to build spinal alignment for fluidity in movement and efficiency in breathing. Freeing up tension and understanding spinal alignment will serve to develop our ability to be neutral in our body and provide the foundation on which we build vocal control. Breath – We will discover breath’s crucial connection to vocal power through investigating various techniques that open the breath up to the body and it’s contribution to release work and achieving a sense of being centred. This is aided through building an understanding of vocal health and a knowledge of the anatomy of the respiratory system and vocal tract. Resonance and articulation work will look at the tone, colour, quality, and muscularity of your speech. Its the part of the progression that allows us to investigate the dynamism of the voice. As a means to explore sound and language we will be looking at IPA (International phonetic alphabet) as a tool for further grounding in RP (Received Pronunciation) and the application of IPA and RP as a basis for other accent and dialect work. Text – All the work involved in the vocal progression integrates into the act of speaking. We explore a range of texts as a way to explore language and to let all elements of the progression be the underpinning. Text work in the first year is very much about discovering the words, emotions, and the connections between them and vocal choices. We explore poetry, classical and contemporary texts. Year 2 – this year is about solidifying a strong independent process and targeting key areas for development. We continue our work of linking the body and breath within the vocal progression by looking further into the work on character work and emotional impulse. A major project of the year is that of Idiolect, investigating and employing the nuances and vocal pattern of a specific person. Building on the skills that the idiolect project gives, another major project of the year is looking at American and British Isles accents and learning the skill of creating an accent breakdown. Voice Specialist Week– In the second term of year 2, the specialist week is a module designated to the art of voice for radio work specifically designed to give each student a professional vocal profile and the tools to produce a voice reel should this be an area that they wish to pursue after graduating. The final project of the year is developing the routine of personal practice and the art of physical and mental discipline in preparation for performance. The ‘voice’ course within The MTA is about heightening awareness within the body, breath and, of course, voice. Complimenting the strong physical demands of the dance department with strong release work and an intention to discipline the mind as well as the body. Allowing the students to understand neutral and therefore more effectively build character nuance with an informed emotional impulse. Empowering the students to make vocal decision based on choice rather than habit. This requires depth as well as breadth, an open mind and the willingness to yield to change. 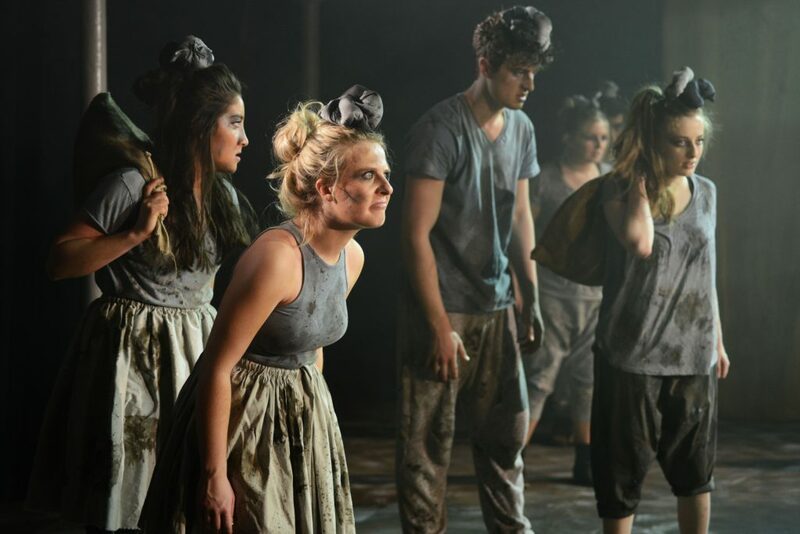 The work will always serve the current needs of the students and aim to support each term’s shows and actively address the questions that the two years at the MTA will present. This work in this department draws upon the influence of many great voice coaches past and present, many different technique and approaches, allowing the students to discover what works for them as well as being exposed to a breadth of approaches focusing particularly on preparation for their personal practice and maintenance as a professional. During technical skills weeks you will participate in 3hrs of dance per day. Approximately 15 hours contact time a week is devoted to the dance component of the course. 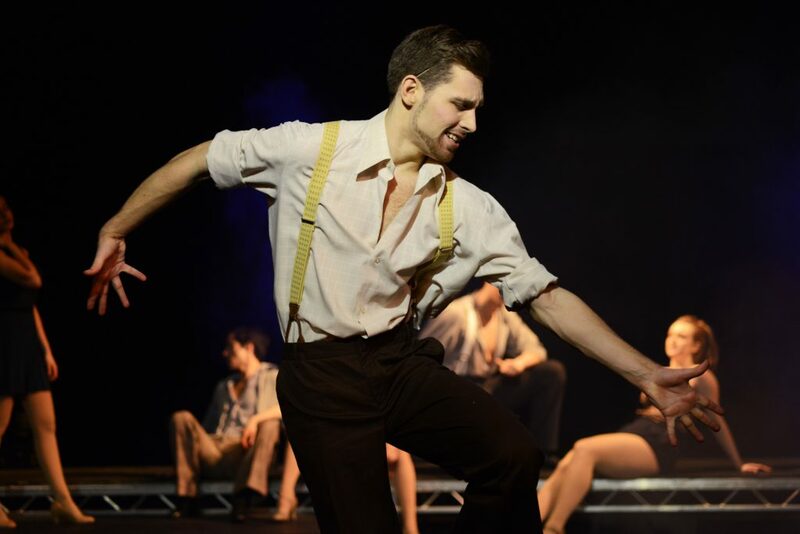 Students come to The MTA with a wide variety of dance backgrounds so the first year is designed to develop their understanding of technique and consolidate any previous training whilst furthering their skill base in all dance styles. All dance classes are streamed according to ability to ensure that the students work at a level and pace that is appropriate for them to progress. Continual assessments are made throughout the course to monitor progress. In Year two, The students continue to develop their skills across the full range of dance styles, and the performance techniques needed to convey these. They work towards extending their versatility as a performer and developing an individual style and performance level. Continual assessments are made throughout the course to monitor progress. 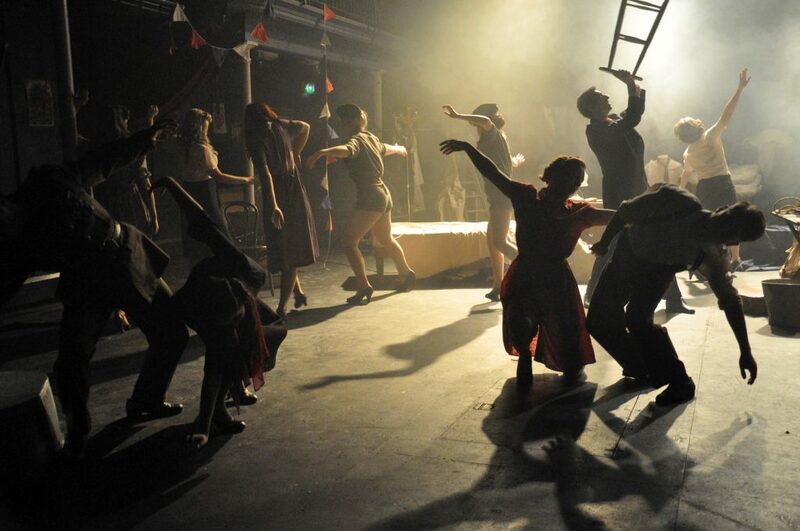 Dance is an integral part of musical theatre. At The MTA we aim to develop the student’s competence and confidence in all styles of dance covered, a big emphasis will be based on how to perform with character, musicality and style; to work with a variety of professional choreographers and to be in command of a repertoire of varying dance styles. There will also be an emphasis on an understanding of the human body so that our students learn to express their emotions through dance and are aware of their nutritional needs and how to avoid injury. Our dance staff are chosen carefully for their expertise, professional and artistic reputations and their understanding of the industry and its demands for performers today. The Technical Jazz classes, aim to develop flexibility and strength in order that the student can perform with energy, speed, stamina, co-ordination and control. Students will develop the ability to learn routines and retain corrections. The Matt Mattox Jazz class is based on Matt Mattox’s isolation technique. This technique builds dexterity, strength and stamina through a series of body control exercises. The Classical Ballet class is the foundation for all the other dance disciplines and aims to develop the student’s understanding of Placement, alignment, coordination, strength, mobility and grace. The Pas De Deux classes will enable the student to perform with care, consideration and coordination when working with a partner. They will develop an ability to respond to the energy and timing of their partner in a variety of musical styles. The Tap class will enable the student to build up a vocabulary of steps, learn a repertoire of combinations, develop competence in differing tap styles and perform with versatility and a sense of dynamics. The Commercial Jazz class focuses on commercial dance for musical theatre, pop videos, fashion and trade shows. In this, the student will learn a variety of commercial jazz styles. The Contemporary dance class is taught using body mechanics, technique and conditioning to enable the student to dance with control, energy and dynamics. We use both Cunningham technique as well as free exercises. The Musical Theatre classes focus mainly on style and learning repertoire from all genres of musical theatre. The Body Conditioning classes focus on training for improved fitness, flexibility and strength. The Acrobatics classes focus on providing students with additional skills required for todays industry. In week 4 of every term regular technical classes stop and you will spend a week exploring a specialist skill with a visiting expert. 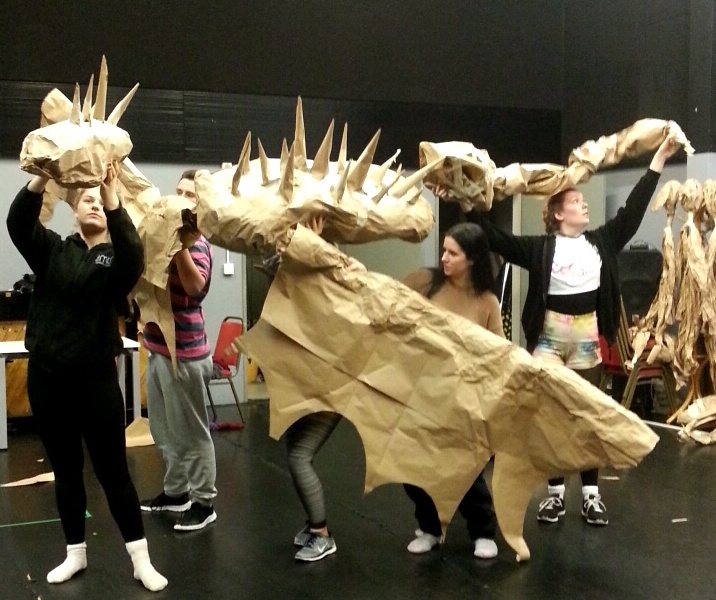 West End Workshop Dance week – working with people involved in current shows. NB all facets of the course will be constantly evolving to ensure that our students are always taught the most up to date and relevant information for today’s industry.